Save 60% on D.Wade's Get It Hoops Interactive Backboard with Live Action Sounds! Save 60% on D.Wade’s Get It Hoops Interactive Backboard with Live Action Sounds! Today on BestBuy.com, you can get D.Wade's™ – Get It Hoops Interactive Backboard with Live Action Sounds for only $7.99! That is 60% off the regular price of $19.99! 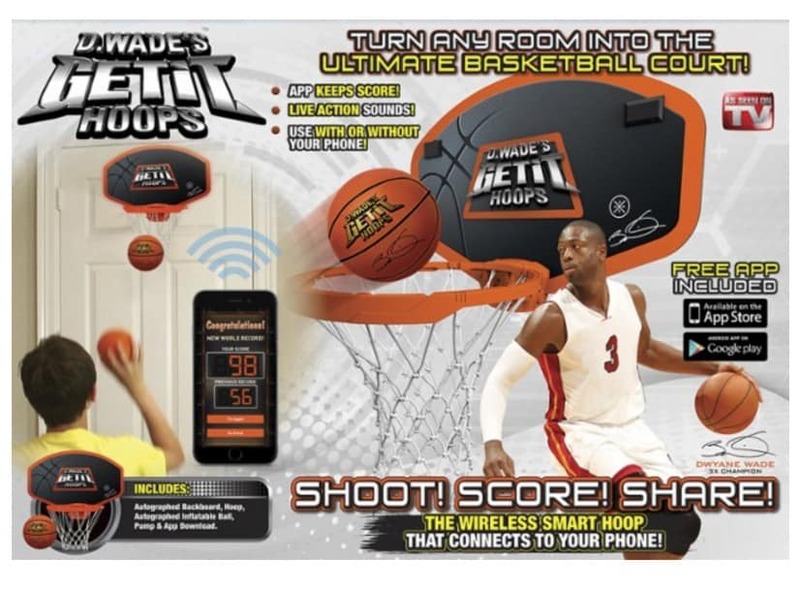 Engage in a fun game of hoops in your bedroom or dorm room with D. Wade's Get it Hoops. Live action sounds make you feel like you're playing in front of a crowd, and the action sensor keeps track of the score. D. Wade's Get it Hoops can be played with the downloadable app. Shipping is free with $35+ order or in-store pickup.